Animals played a crucial role in many aspects of Celtic life: in the economy, hunting, warfare, art, literature and religion. Such was their importance to this society, that an intimate relationship between humans and animals developed, in which the Celts believed many animals to have divine powers. 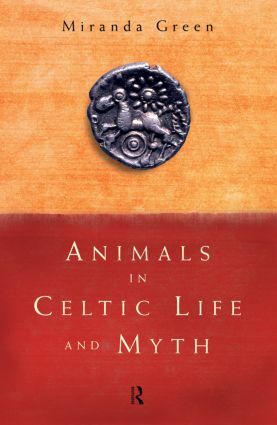 In Animals in Celtic Life and Myth, Miranda Green draws on evidence from early Celtic documents, archaeology and iconography to consider the manner in which animals formed the basis of elaborate rituals and beliefs. She reveals that animals were endowed with an extremely high status, considered by the Celts as worthy of respect and admiration.